Greater Toronto Airport Authority(GTAA)-Firefighter Recruit | Ontario Fire Administration Inc. This posting closes February 15, 2019. Questions regarding the GTAA recruitment process should be directed to the GTAA. 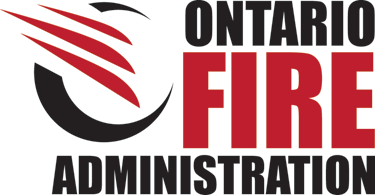 Questions and information regarding the Ontario Fire Administration Inc. Candidate Testing Program and Certificates can be found on this website. The GTAA is committed to Employment Equity and maintaining a diverse workforce. A career as a GTAA firefighter is both challenging and rewarding. Working under the general direction of the Fire Chief and supported by a dynamic leadership team, firefighters are located in one of three fire stations that provide emergency response at Toronto Pearson International Airport. On average, firefighters respond to approximately 5750 emergency incidents annually. All firefighters at the GTAA are members of the Pearson Airport Professional Firefighters' Association, Local 4382, International Association of Firefighters (IAFF).